The technique of the 4 systems + fixed prosthesis is definitely one of the most used at the level implant as a solution for restoring your teeth. The procedure consists of inserting 4 titanium implants in the mandible and / op patient’s jaw in order to create a solid base for the subsequent application prosthetic. The patient undergoes a process of extraction of teeth originally present. The oral area is reclaimed and “clean” for the subsequent graft implantation. Reclamation: The reclamation procedure is of utmost importance for the great success of the intervention. The trader will completely clean the parts of bone on which the plants will be placed. The gum will come unglued to allow for a thorough cleaning and sanitation, basic conditions to prevent the improper integration of the systems. the clinician will proceed to enter in pairs of two plants sull’emiarcata left and right mandible and / or maxilla, creating two series of plants equidistant from each other, which will be the base and a solid foundation for ‘ prosthetic application. 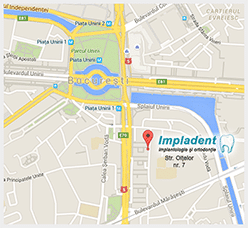 professional after implant insertion proceed with the application of the denture lab-created ad hoc for the patient. The prosthesis is anchored to the 4 plants previously included creating one with the arch. The prosthesis applcata initially will be a prtesi type provisional for the duration of 3-4 – months which then will be replaced with a second type of definitive prosthesis which will form the permanent teeth.